Invite your friends to play Albion! Gifting them a 7-day trial may just be the key to rewards, Gold, and a lasting adventure. 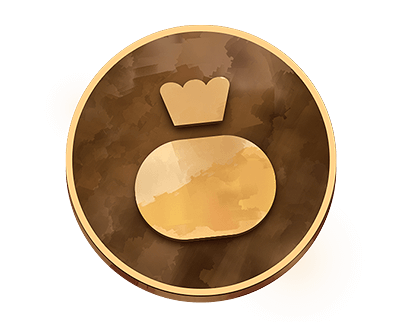 Get your friends started with a 7-day trial and be rewarded with unique items and Gold. Keys are now available in-game. 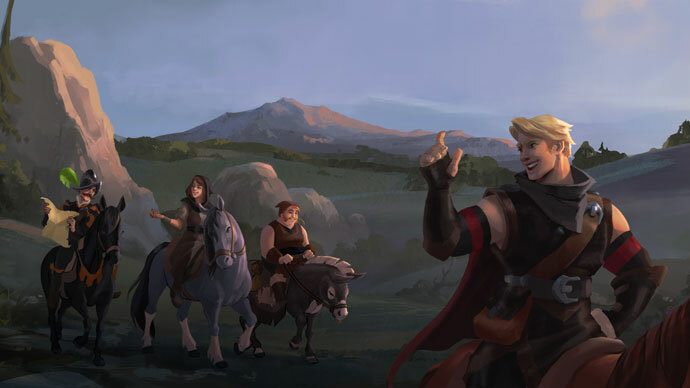 Whether you’re braving an expedition, harvesting the bountiful natural resources of Albion, or engaging in an epic battle, your adventure in Albion will be much more rewarding together with your friends. Buy Trial Keys for your friends in-game through the Invite Friends menu. Each Trial Key will cost 1,000 or the Silver equivalent. 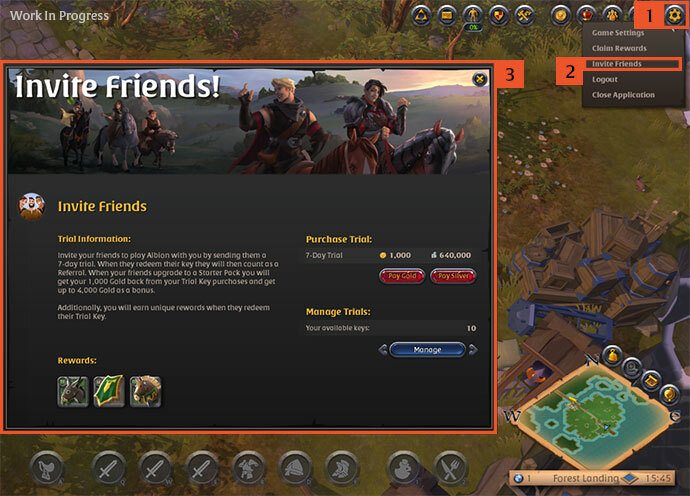 Share Trial Keys with your friends by copying/pasting the key code, sending them an Email directly through the Referral Overview page or send them via Email in-game. 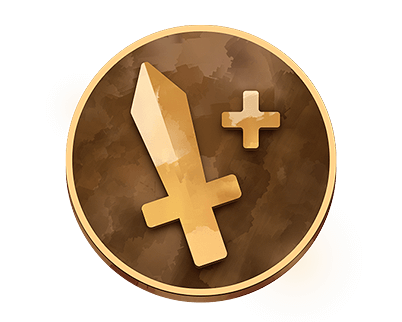 Earn unique rewards for each friend who redeems their Trial Key. The more friends with keys, the more rewards you get! To keep it fresh, the rewards will change seasonally. 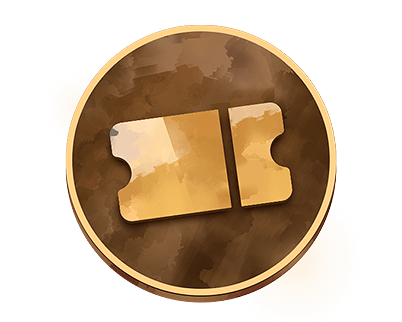 Get your 1,000 Gold back from the Trial Key, plus up to 4,000 more Gold when your friend buys a Starter Pack. Check out the Referral Statistics page to check your earnings. Note: The current items will be replaced on November 13 with new items. The referral terms and conditions are changing. The changed referral terms and conditions can be found here. Feel free to print them out for future reference. You can accept the changed referral terms and conditions by using the new referral program or by indicating your acceptance of the changed terms on our website or in the game client. You can object to the changes by sending an email to [email protected]. If you do not object to changes within 6 weeks of this notice, the changes are deemed accepted by you.